Empress Theodora's Codex, or Minuscule 565, is a Greek minuscule manuscript of the Four Gospels (Tetraevangelion), on purple parchment, dated palaeographically to the 9th century. 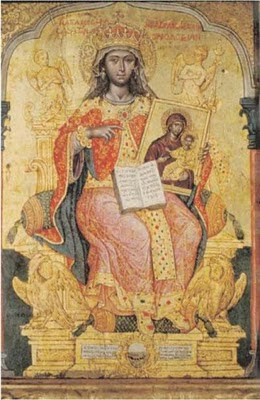 According to tradition, the manuscript was written by the hand of the 9th century pious Roman empress Theodora herself (read here). The codex is one of only two known purple minuscules (Minuscule 1143 is the other) written with gold ink. It contains the text of the four Gospels on 392 purple parchment leaves. The text is written in one column per page, 17 lines per page. The manuscript comes from the area of the Black Sea. In 1829 it was brought to Petersburg. 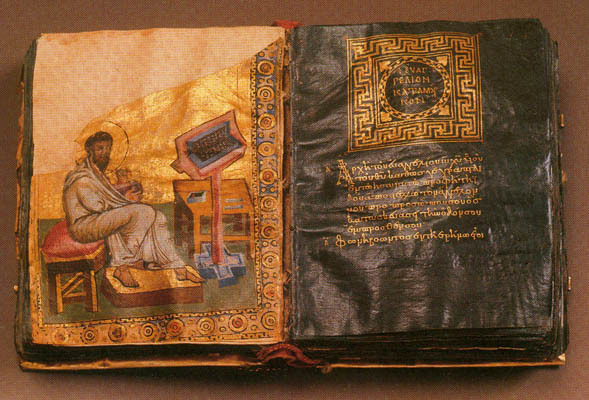 The codex now is located at the Russian National Library (Gr. 53) at Saint Petersburg.